In August 1981, it was a balmy twenty four degrees Celsius in Brisbane, Australia. Not exactly the temperature most skaters are used to when they are heading to their country's National Championships! 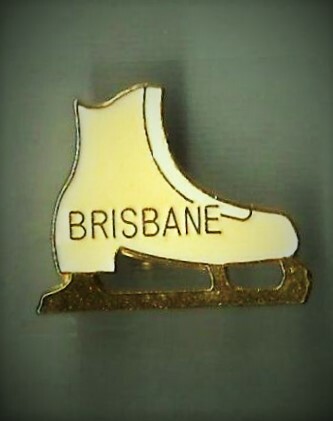 However, it was winter down under and the country's best were set to show their skills on the ice at the 1981 Australian Figure Skating Championships. Moreso than now, in decades past it really wasn't uncommon at all for skaters to gain experience and exposure by competing in the National Championships of other countries. In 1976, Australia's Michael Pasfield had actually placed sixth at the Romanian Championships in Miercurea Ciuc, eastern Transylvania. In 1981, rather than exporting talent, the Australians imported it. Melanie Buzek of Brantford, Ontario and Brad McLean of the North Shore Winter Club in British Columbia were invited to Australia to compete as guests and made the long trek from Ontario together with judge Dr. Suzanne Morrow-Francis in late July of 1981. After being delayed for five hours in Vancouver, the three Canadians flew to Hawaii, Fuji and Sydney before finally arriving in Brisbane in one piece in early August. When they arrived, they were detained by authorities for 'questioning' because they didn't have a Visa to enter the country, and Morrow-Francis got them out of the jam by producing two letters of invitation. The Canadian contingent finally arrived for the competition and Morrow-Francis found herself quite busy running a series of judging clinics. In an article in the October/November 1981 issue of the "Canadian Skater" magazine, McLean intimated, "Australians are friendly, fun loving, happy-go-lucky people. They enjoy Canadians, but we learned very quickly to be sure that we were recognized as Canadians, not Americans. There are still many bad feelings towards Americans left over from the second World War when many U.S. soldiers were stationed there. The competition atmosphere was equally friendly and relaxed. We met a lot of people and made many new friends. Although the arena was cold, it was nice to skate on a rink that is used strictly for figure skating. There were no lines on it and several times we received strange looks when discussing our programs or jumps and the problem we have coping with the blue lines or goal lines. Hockey is not a well-known sport there." Brennice Coates and Les Boroczky, who had finished a disappointing last place at the previous season's World Junior Championships in Canada, found redemption in winning the ice dance competition. Although the Canadian guests were well received, the top honours in the singles competitions in Brisbane rightfully went to the Aussies. Representing the Sydney Figure Skating Club, Michael Pasfield claimed top honours in the men's event, while McLean finished third. Eighteen year old Vicki Holland of Greenacre won the senior women's event with Brantford visitor Buzek finishing a strong second. The pairs title was won by pint sized eleven year old Danielle Carr and her fourteen year old brother Stephen... who was no less than fifteen inches taller than her! Considering that the Soviet pair of Marina Cherkasova and Sergei Shakrai had been among the first pairs teams with a massive height difference to be demonstrating big tricks in competition only years prior, the Carr's aesthetic would have been quite a novel sight at the time. Although often overlooked, the small exchanges between skating nations in the seventies and eighties in particular were so incredibly valuable at a time when you couldn't just Google information about coaching, judging and rule changes. Knowledge is power in figure skating and now, like back in 1981, the sport's evolution can only improve by the imparting of it.